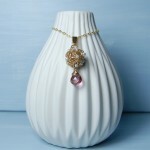 For those who like a unique piece of jewellery this sparkling necklace might just be for you. 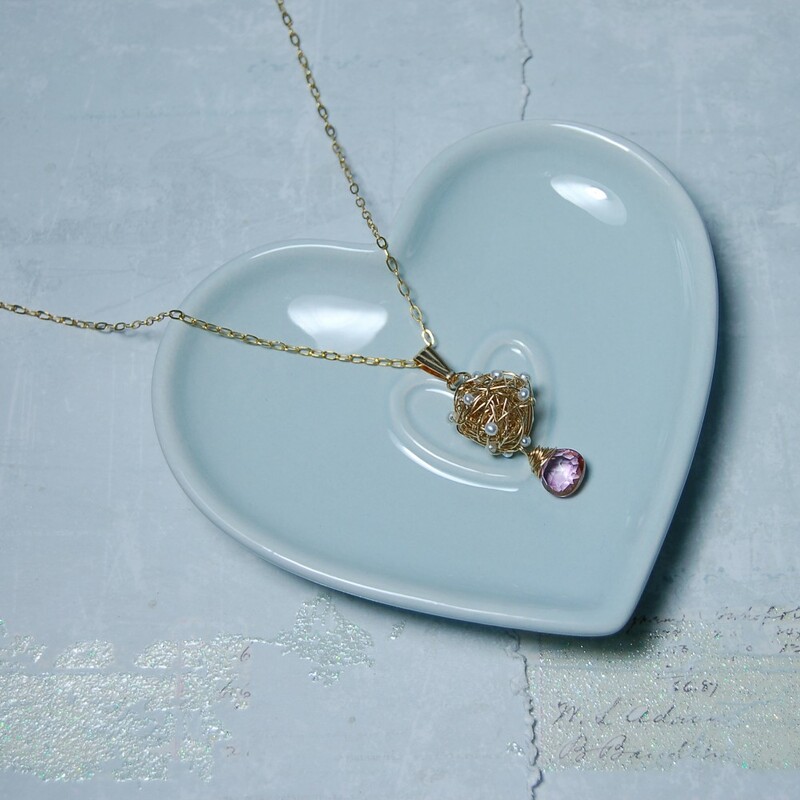 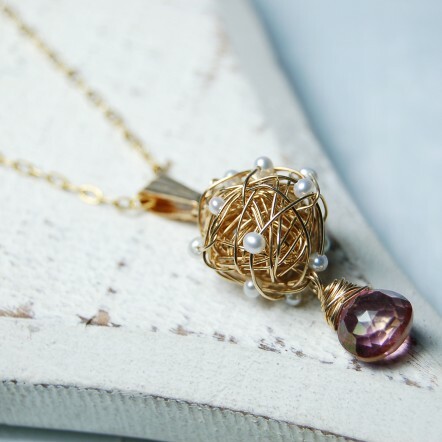 This necklace is an awesome addition to of our ” Bird’s Nest ” range and a different alternative to our other nests. 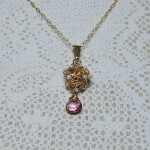 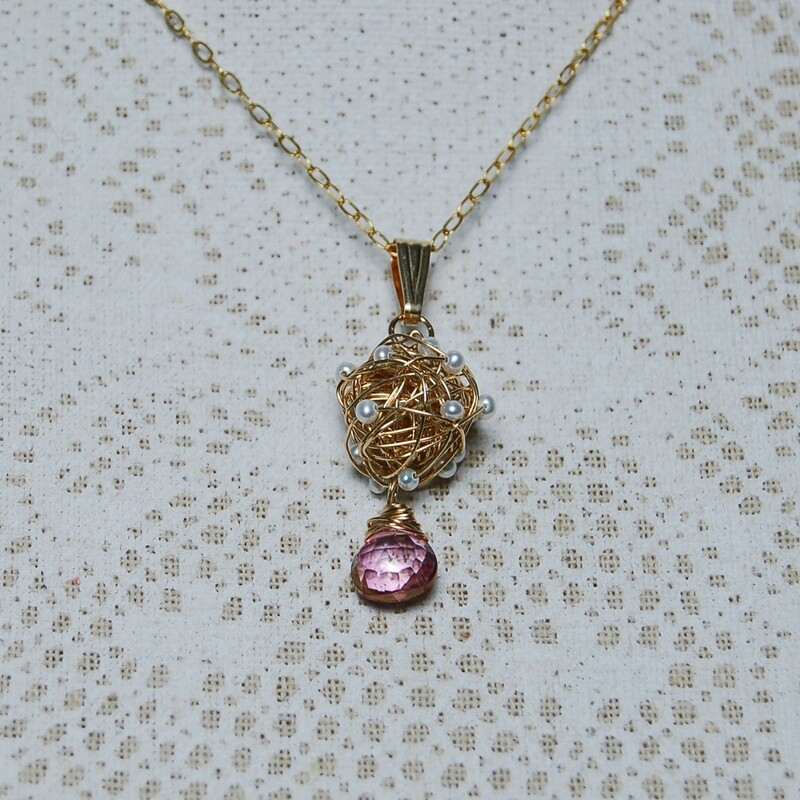 This wire wrapped necklace could be for a special occasion such as a wedding, A party or for the professional women. This nest will certainly stand out in the crowd with all its sparkles and elegance so if you want to be an individual this is for you. 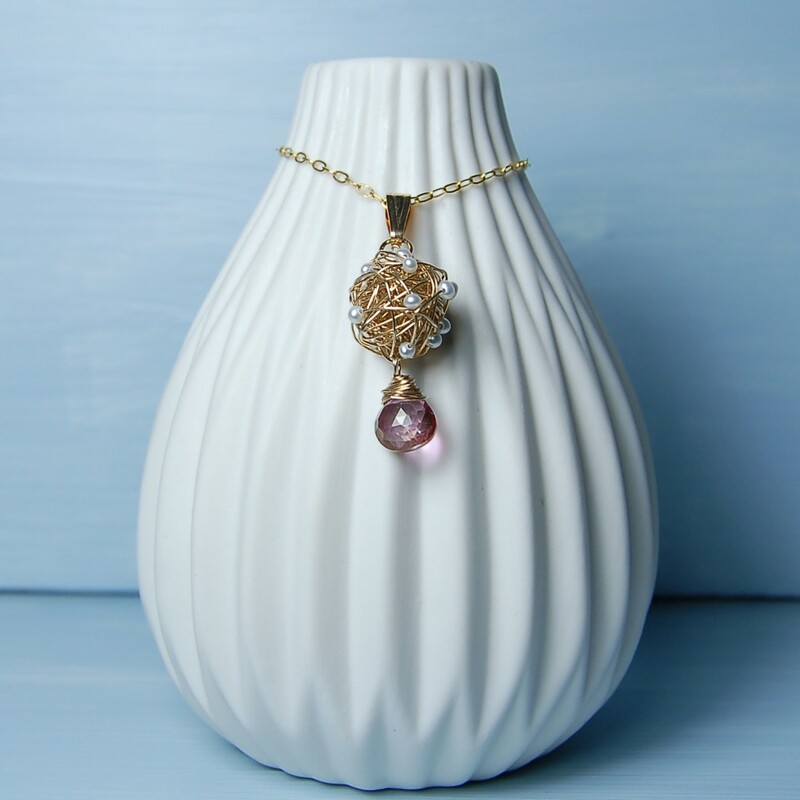 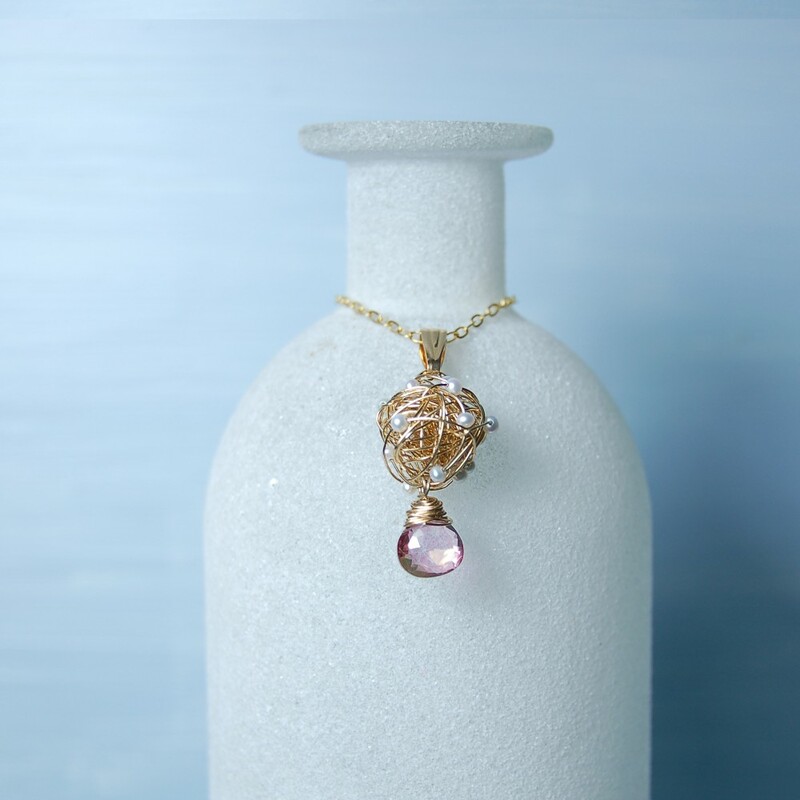 The materials used in this necklace are 14k Gold filled wire, 2-2.5mm AA graded freshwater pearls and AAA faceted pear pink mystic quartz gemstone. The Gold fill bird’s nest measures approx 18mm in diameter. 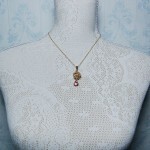 The freshwater pearls measure 2-2.5mm.